We go to the cinema to experience new worlds. And certainly the life of a young gay black man growing up in a poor neighbourhood, where drug abuse, violence and a stint in prison are accepted as the norm, is about as far away from my sheltered bubble as the life of an X Man or a princess in a galaxy far, far away. But Moonlight speaks directly to the heart of anyone who's ever felt lonely or left out or picked on, who's ever felt uncomfortable in their own skin, or pretended to be something they're not, or not even known who they are enough to pretend they're not like that. The film is divided into three chapters. In the opening section, we're introduced to Chiron, aka 'Little' (Alex Hibbert), a slight, almost silent kid, bullied by his bigger, older, more confident peers, his huge eyes reflecting a weary knowledge that somehow he just doesn't fit in. 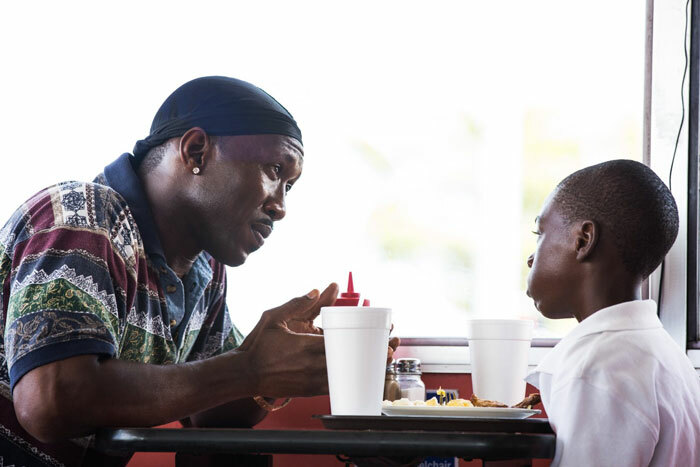 Juan, a local drug dealer with a heart of gold (sounds naff but played by House of Cards' Mahershala Ali he's awesome), takes Little under his wing, a touching scene in which he teaches him to swim symbolising how he helps the young lad keep afloat in a difficult world. But fast forward a few years to chapter two and Chiron (now played by Ashton Sanders) is still an outsider, derided for being 'soft', his loneliness written too clearly in those big eyes and quivering lips as he grapples with desires that he knows will never be accepted. 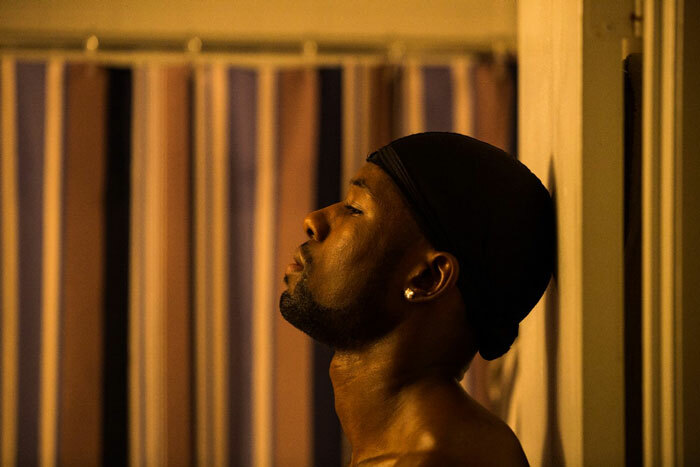 The final chapter sees him transformed into a super masculine gangland heavy (played by Trevante Rhodes). Calling himself simply 'Black,' he is the stereotypical dealer that Juan so clearly wasn't, hiding his sensitive soul beneath layers of rippling muscle, his shy smile behind gold fronts. No one's calling him soft now. And yet, paradoxically, by becoming like the people who bullied him, he finally finds the courage to admit to his true feelings, and we realise it's no coincidence that he now refers to himself by the nickname given him by his first (and only) love, Kevin. Because, as well as a moving coming of age narrative, Moonlight is also a beautiful love story, a classic tale of two young lovers whose lives briefly interconnect, only to be torn apart. Yet unlike many romantic heroes, Chiron/Black is offered a second chance at love. The question is, closed in and monosyllabic as he is, will he be able to take it? Because Moonlight features drug dealers on corners, I was expecting gritty and unflinching – The Wire meets Brokeback Mountain maybe. What I wasn't anticipating was being moved almost to tears by a poetic elegy to friendship, betrayal and love with a message for us all: be yourself; and if you don't know who you are yet, don't be afraid to find out.